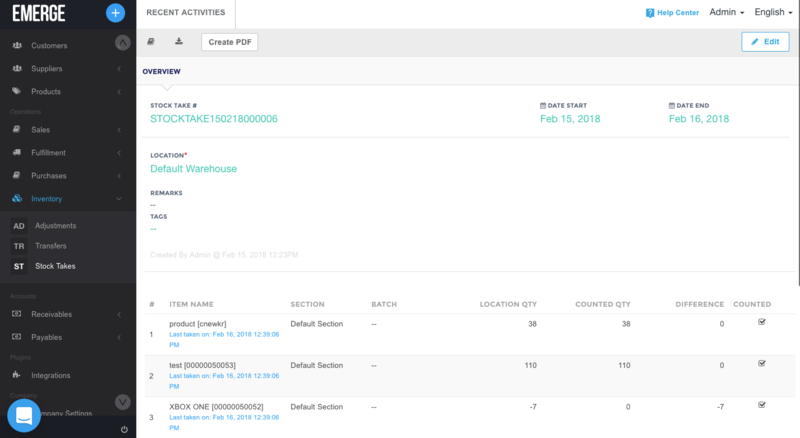 When doing a stock take you need to choose a warehouse, if you do not see your products in the list it means that they are assigned to a different warehouse. Try choosing a different warehouse and looking for your products there. Alternatively you maybe experiencing browser issues, in such case try clearing your browser's cache.